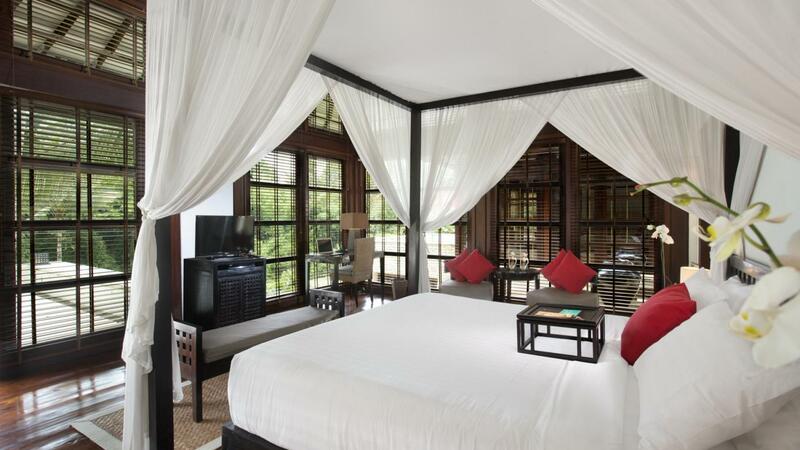 Bedroom number two is very well positioned with easy access to our central dining and living pavilion. 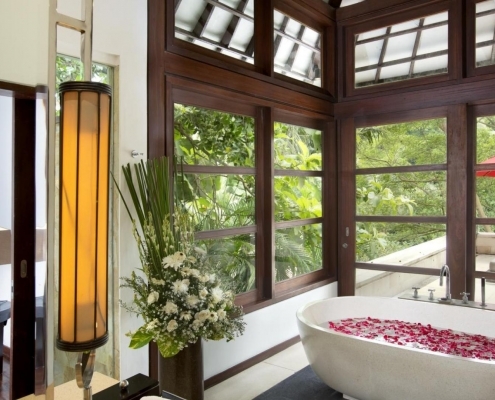 It has a beautiful king-sized bed offering 180 degrees green open views through the large windows around the bedroom. 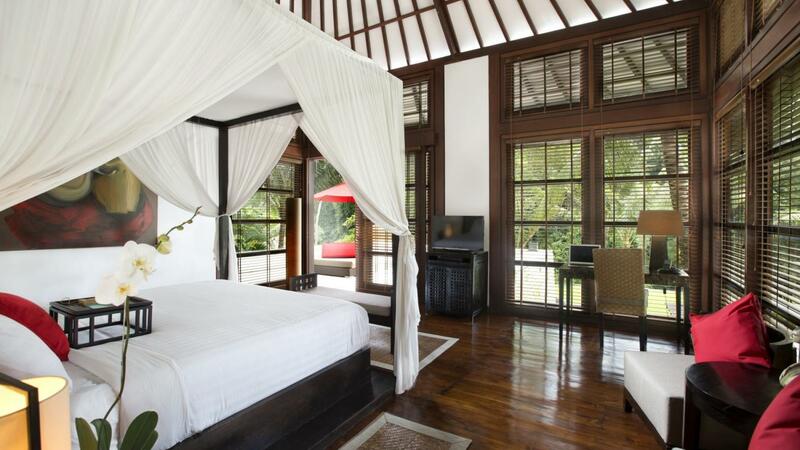 The very high ceilings and wooden teak floors represent ultimate Balinese luxury. 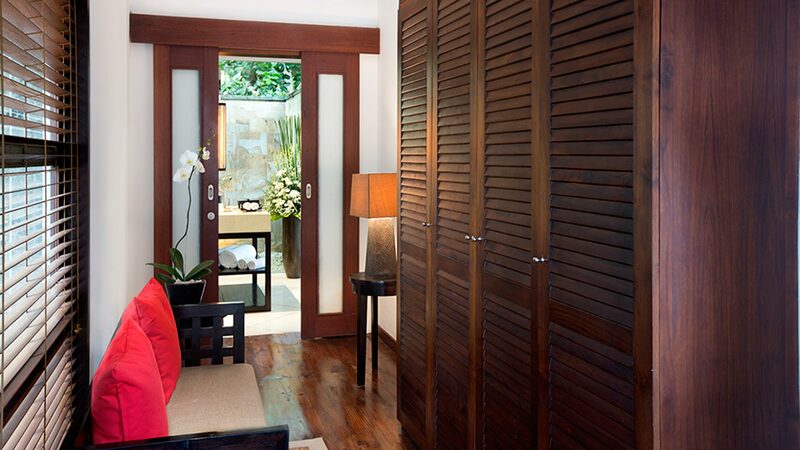 This bedroom has a work desk and a reading corner with original Balinese contemporary art on the walls. 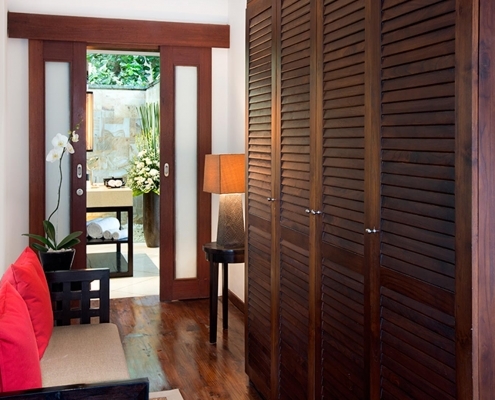 In between the bedroom and the bathroom there is a large dressing with wooden closets to choose your favorite outfit of the day. 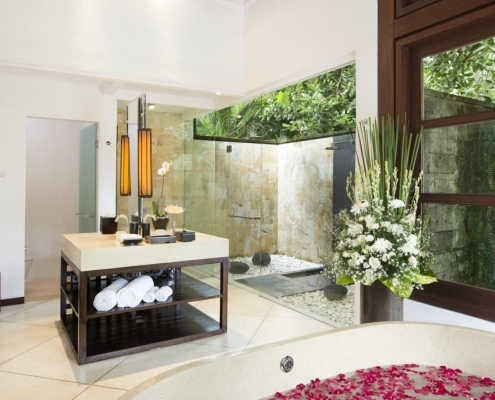 The en-suite bathroom has beautiful stone floorings and offers an outdoor shower, an indoor shower, a terrazzo build-in bath tub, two wash tables and a separate restroom. 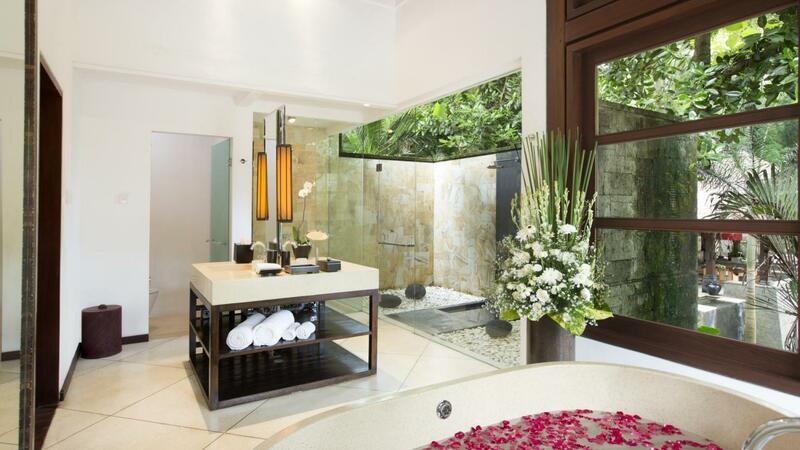 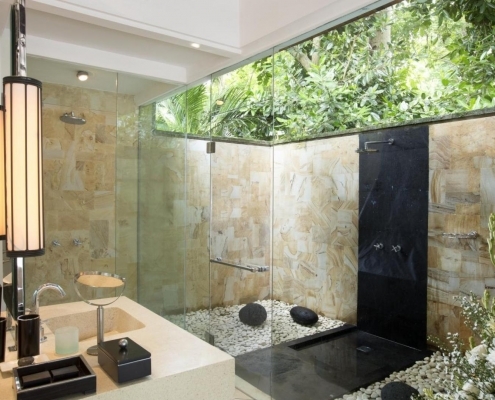 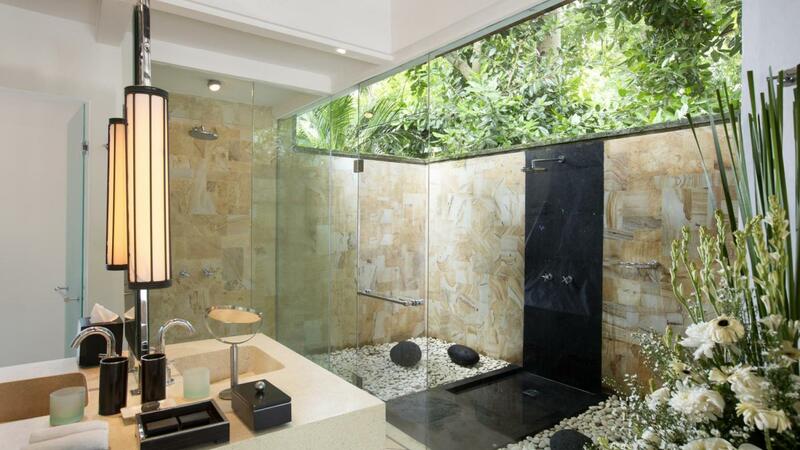 Great lighting and fresh flowers finish this bathroom. 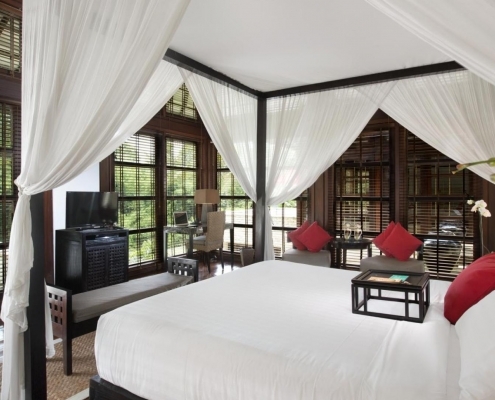 Bedroom 2 also has a large private terrace overlooking our beautiful green scenery with sun bed and umbrella. 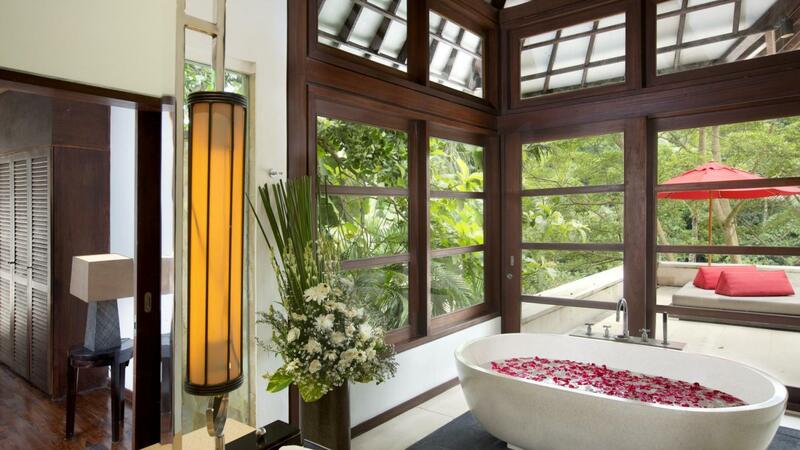 From this terrace you can see our pool.